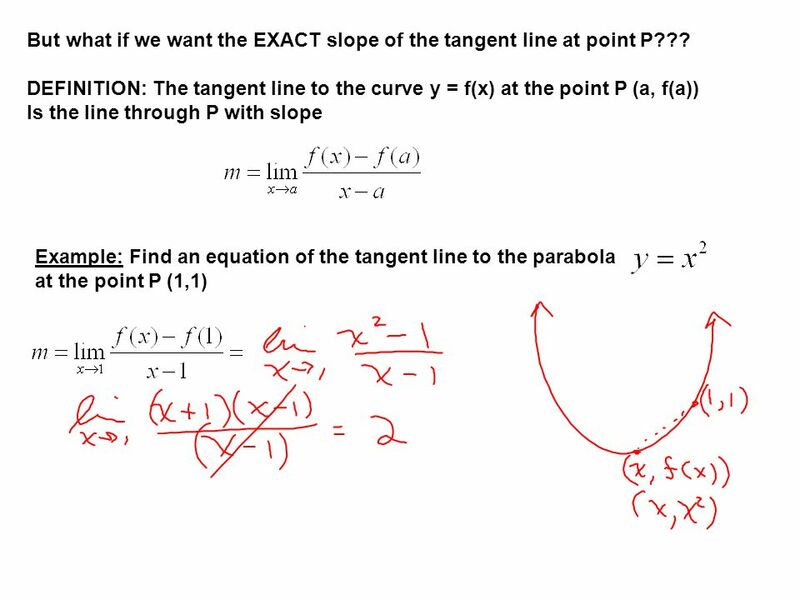 3 But what if we want the EXACT slope of the tangent line at point P??? Download ppt "2.7 Tangents, Velocities, & Rates of Change"
Blue part is out of 60 Green part is out of 43 Total of 103 points possible Grade is out of 100. 2.4 Rates of Change and Tangent Lines Devils Tower, Wyoming Greg Kelly, Hanford High School, Richland, WashingtonPhoto by Vickie Kelly, 1993. 2.1 Derivatives and Rates of Change. The slope of a line is given by: The slope of the tangent to f(x)=x 2 at (1,1) can be approximated by the slope of. Slope and Equation of a line How to find the slop of a line? (x 1, y 1 ) (x 2, y 2 ) How to find the equation of a line? 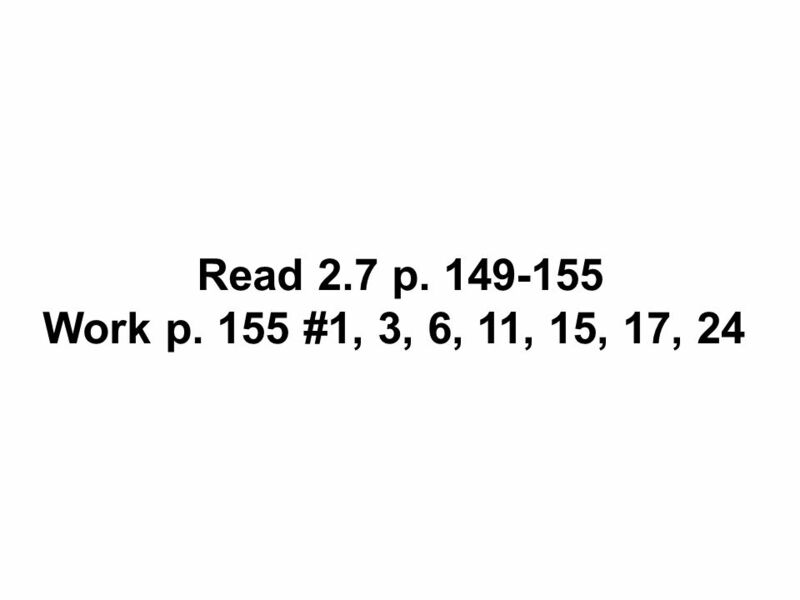 Sec 2.1: Rates of Change and. Section 2.6 Slopes of tangents  SWBAT:  Find slopes of tangent lines  Calculate velocities. 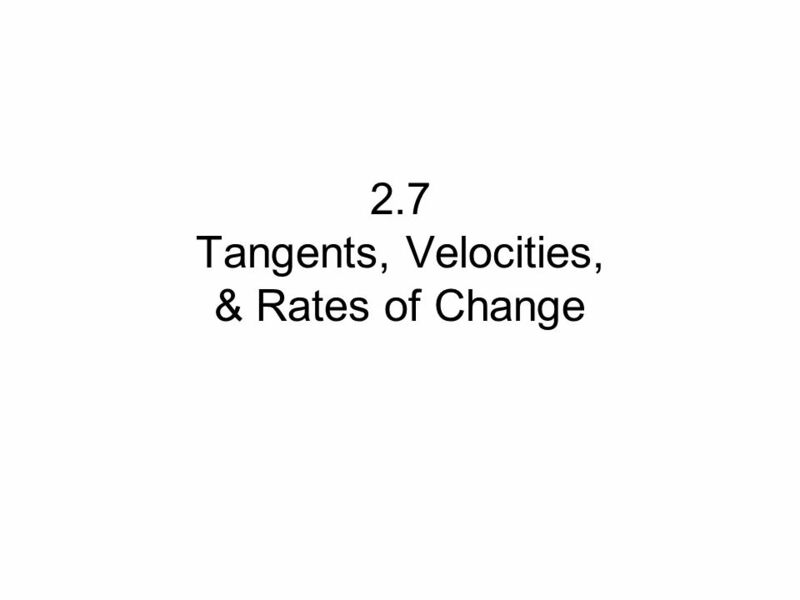 2.4 Rates of Change and Tangent Lines. What you’ll learn about Average Rates of Change Tangent to a Curve Slope of a Curve Normal to a Curve Speed Revisited. 3.1.Tangent Lines and Rates of Change. 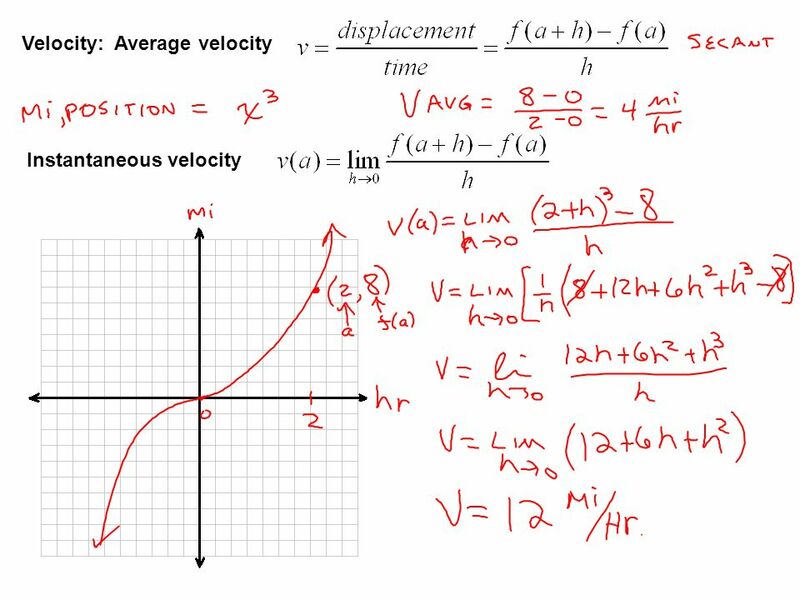 Average and instantenious velocity. Rita Korsunsky. Copyright © 2011 Pearson Education, Inc. Slide Tangent Lines and Derivatives A tangent line just touches a curve at a single point, without. 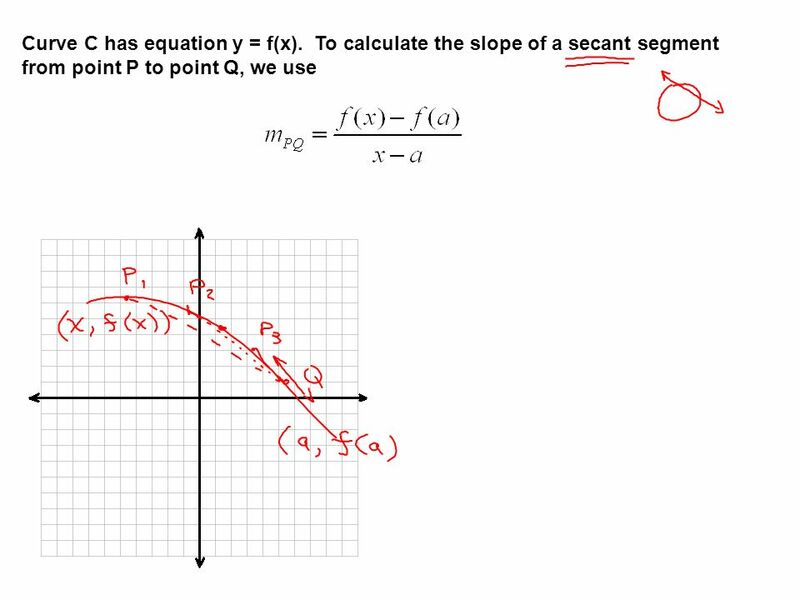 Tangent lines Recall: tangent line is the limit of secant line The tangent line to the curve y=f(x) at the point P(a,f(a)) is the line through P with slope. DERIVATIVES 3. DERIVATIVES In this chapter, we begin our study of differential calculus.  This is concerned with how one quantity changes in relation. 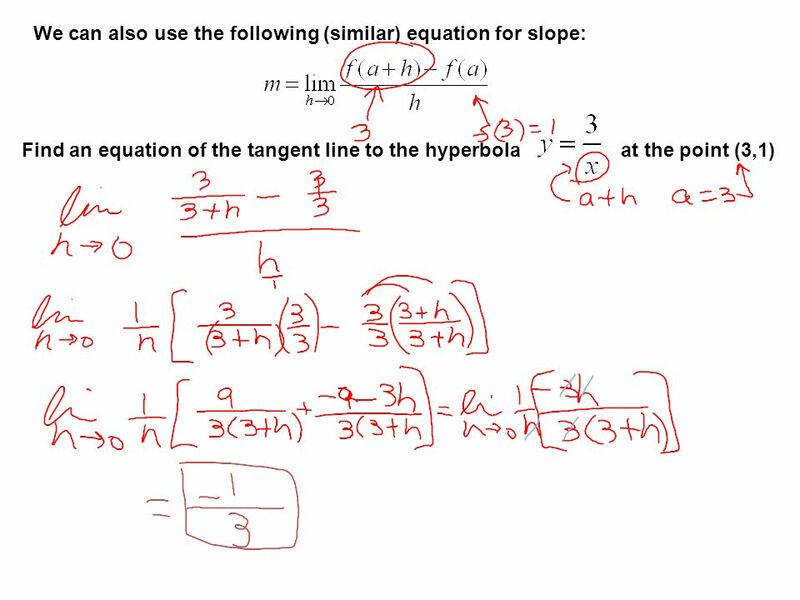 Calculus 2413 Ch 3 Section 1 Slope, Tangent Lines, and Derivatives. Chapter 3: Derivatives 3.1 Derivatives and Rate of Change.